Based on 499 customer ratings. Whether you live in Champaign or you are just visiting, there are many great things to see and do. If you’re looking to catch a game, the University of Illinois Fighting Illini plays their BIG 10 football season at Memorial Stadium. Are you or your family looking for more of a cultural experience? Champaign is also home to The Virginia Theatre, The Art Theater, and Krannert Art Museum. Hessel Park and West Side Park are the place to go if you’re looking for a great outdoors experience. After an exciting day in Champaign, chances are you will eventually work up an appetite. Of course, nothing goes better after a long day of exploring than pizza. 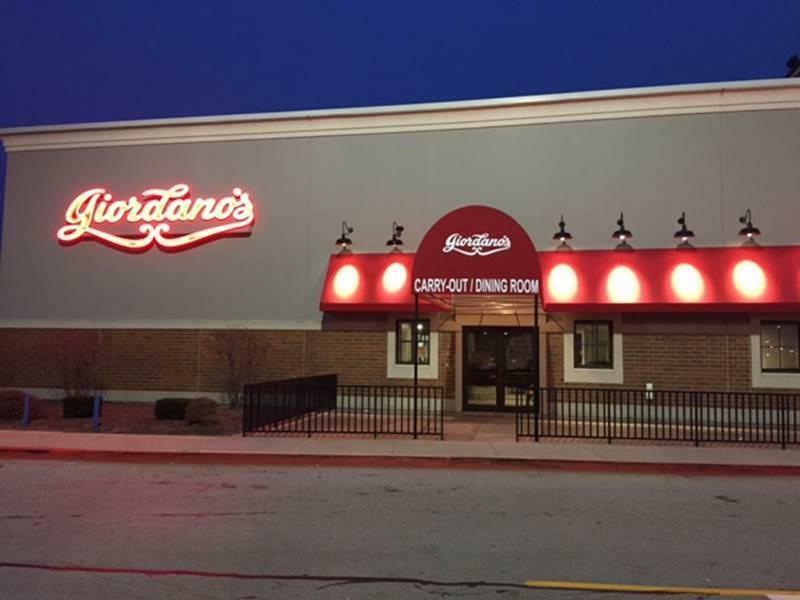 If you’re looking for the best deep dish pizza in Champaign, you’re in luck: Giordano’s, known for the best Chicago-style pizza, is located right in the city. What makes Giordano’s the best pizza place you can try? The pizza is based on an Old World authentic Italian recipe and the double-crust cheese-stuffed pizza pie is filled with flavor and texture. While we got our start with an authentic pizza recipe, Giordano’s is proud to offer an entire menu of options for the whole family. From our divine tomato bruschetta to our chicken club sandwich or even our hearty chicken parmesan, we have selections to please even the fussiest eater! Our Champaign location is easy to find in the Market Place Shopping Center at 2000 North Neil Street. This location offers a warm and friendly dine-in experience, including a full bar. You can also snag your favorite pizza for carry-out or have it delivered right to your front door!